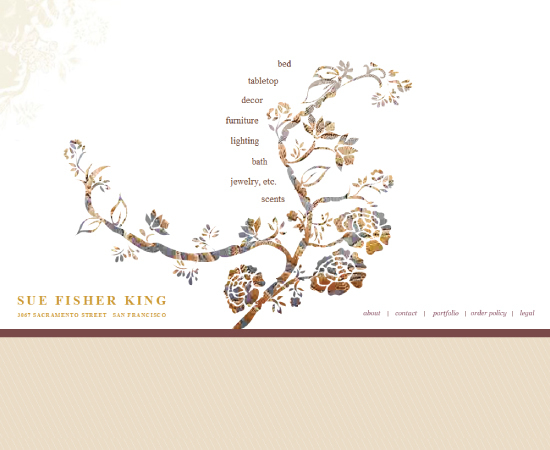 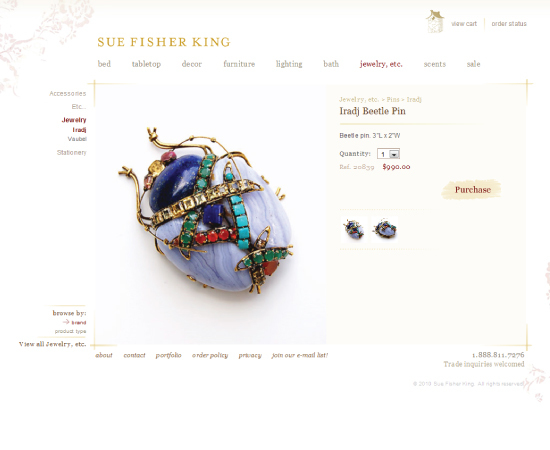 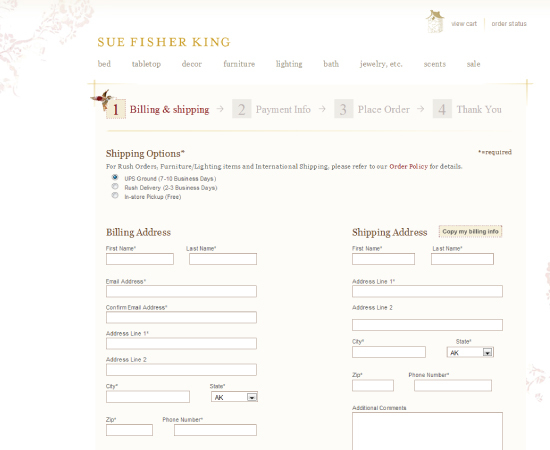 Sue Fisher King is a unique boutique in San Francisco that sells luxury home furnishings. 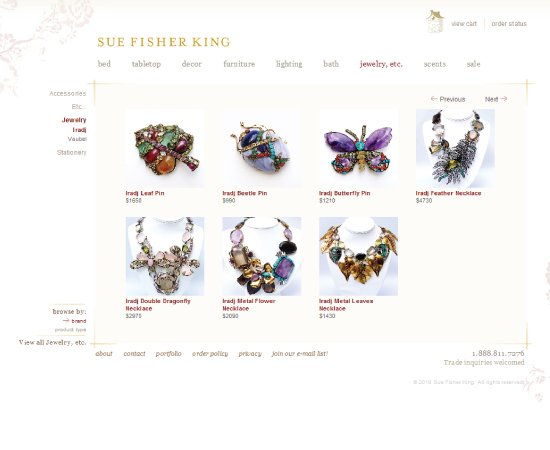 The goal was to redesign their website and also develop a custom system for ecommerce. 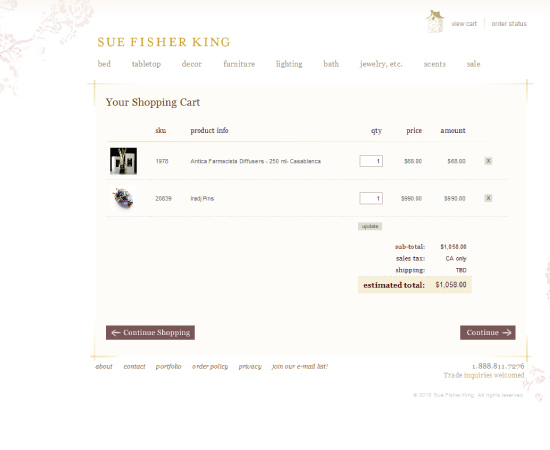 I was responsible for designing the website and designing the frontend and backend administration for the ecommerce website.